California sheriffs have announced that they are opposing Lt. Gov. Gavin Newsom’s gun-control measure aimed for the fall ballot, arguing it would not prevent criminals from obtaining guns and ammunition via the black market or theft, the Sacramento Bee reported. The California State Sheriffs’ Association has a different take on Newsom’s effort to put the question before voters in November as a ballot referendum. Instead, they said in a public letter to Newsom’s campaign, it would place additional restrictions on law-abiding people who want to buy ammunition for recreational use, retain guns and magazines that are currently legal or pass down historical or family heirlooms. 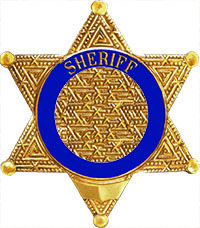 The sheriffs note that they remain supportive of domestic violence restraining orders, existing background checks and waiting periods to purchase firearms. But their position on the measure could add institutional heft to an opposition coalition led by gun-rights groups. The chief critic to date had been the California Rifle & Pistol Association, whose Coalition for Civil Liberties considers the planned measure the biggest threat to gun rights in California in more than three decades. Newsom’s proposal which must collect 366,000 signatures to qualify for the November ballot, would require most people to pass background checks to buy ammunition, sales of which must be made through licensed vendors and reported to the Department of Justice. While California has some of the nation’s most restrictive firearms policies, including a 1999 ban on assault weapons, it would expand that prohibition to high-capacity magazines grandfathered in by the law. If it passes, the owners would need to sell them to a licensed dealer, transfer them out of the state or turn them in to law enforcement to be disposed of. The Bee reported that Newsom is working with the Law Center to Prevent Gun Violence, and their bid is backed by US Sen. Dianne Feinstein, the mayors of San Francisco, Oakland and San Jose and others. Newsom’s campaign as reportedly raised over $2 million and has gathered about 25% of the required number of petition signatures. The Los Angeles Association of Deputy District Attorneys (ADAA) has also delivered a letter to Newsom’s campaign office announcing its opposition to Newsom’s “ill-conceived” ballot initiative. Law enforcement officials in neighboring Western states have also expressed their opposition to the referendum.